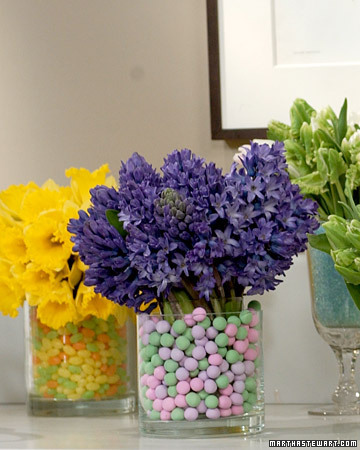 The jelly bean apothecary jar is still my all time favorite use of jelly beans, but this cute vase from Martha Stewart is super cute too, take about 1/100th of the jelly beans, and is 1000 times easier. Of course you don't have to stick with just jelly beans. Any Easter Candy will do. Except maybe chocolate. 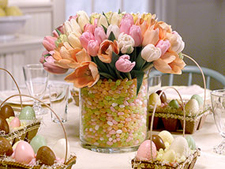 That would melt or be eaten long before it hit the vase. 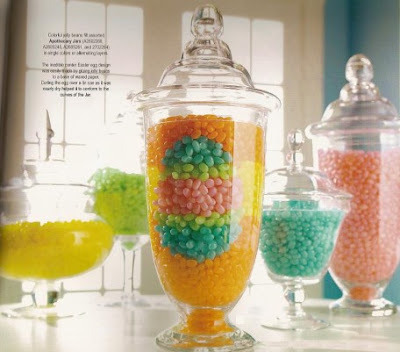 Gosh, we have a hard enough time leaving the candy looking cute in the candy dishes! These are so stinking adorable! Love them all! what a pacient woman are you! Those jellybeans would never make it in my house. Thanks for the inspiration! I heart apothecary jars. 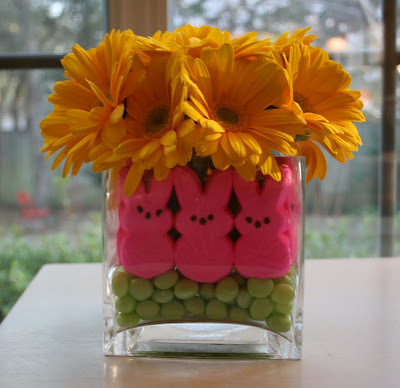 I always want to buy tons of them around each holiday, but I can't bring myself to spend that much on jars. I should probably buy one each holiday and before you know it I'd have a collection, but I always think I have to buy several at a time. Oh those are really cute - that jelly bean thing is amazing.